One KyuRanger commits a felony & lands the Squad in the crosshairs of the Space Sheriffs. Jiraiya will be in this, I see. 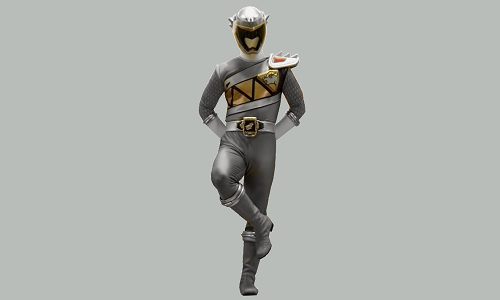 I hope Takumi Tsutsumi makes an on-screen appearance instead of it being just a suit. Calling it now, Hammy is either being possessed/brain fucked or its an impostor. That green ranger is adorable. Anyone know a good, non virus attaching, site where I could watch this and the other Super Sentai versions of Power Rangers? At least Hammy gets to do SOMETHING for a change - it's almost a crime how underutilised she was in the show. Sakurako Okubo is the cutest, agreed! Cool. Thanks. I’ll check em out. Hopefully Gavan and Shaider won't just be the only Space Squad members in this. I wanna see muh B-Fighters! Jiraiya's in the trailer (well, part of him) too. I hope this is good! I really liked the first Space Squad. Last edited by Smozz; 03-18-2018 at 06:27 PM..